I've had some pretty wonderful days since moving into my forever home, but last Friday was the wonderful-est yet. 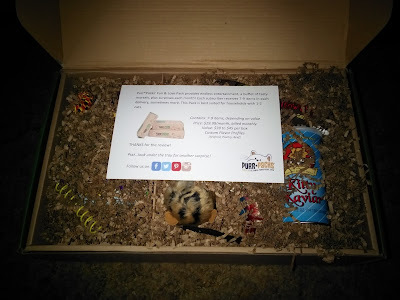 What made the day so very special was the arrival of a Purr*Packs box, a subscription box service just for kitties featuring toys, treats and treasures. Mommy couldn't get over how adorable the box is, but the only thing I cared about was what's inside! Look at all the pawsome loot! 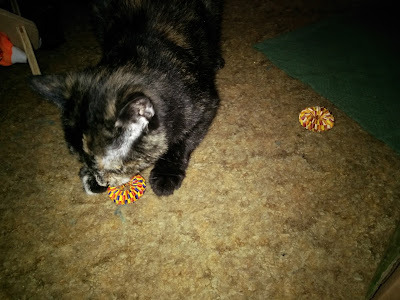 I got treats from Zuke's and Cloud Star, a catnip cigar, a fuzzy mouse, bonito flakes, a spring and eco-friendly discs and door hangers. The first thing I pulled out was a Yeowww! catnip cigar! It looks like I'm actually smoking, doesn't it? I definitely inhaled! The Planet Pleasures website calls these little discs "cat tires"...they're all natural, handwoven, and fair trade produced...and so much fun! I immediately gave my cool new scratcher a whirl. 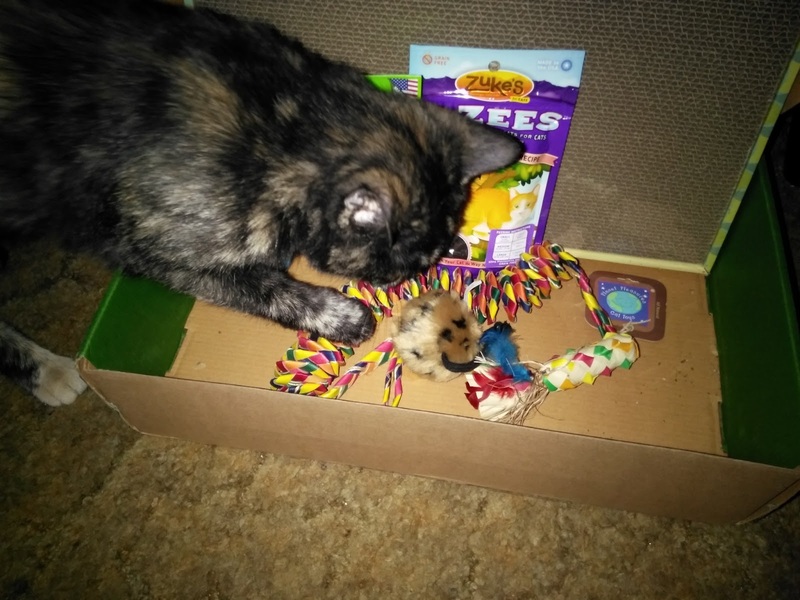 But this fuzzy little animal print mousie is my favorite thing in the box. I carry it around in my mouth and swat it around the house and have loads of fun with it every day. Mommy even puts it away at night because it makes me even more crazy pants than usual and so I won't end up losing it! When I'm not playing with the mousie, this is how we cuddle together. 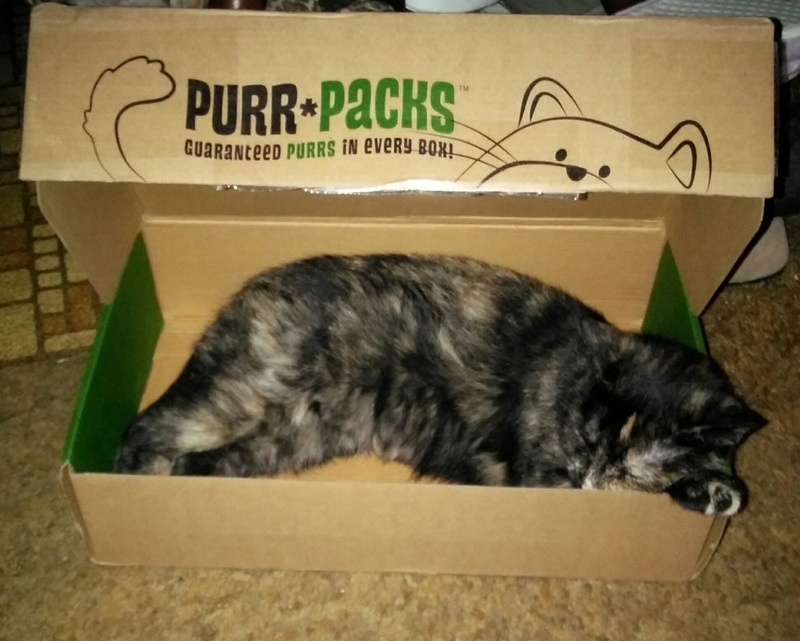 After I unpacked and tested everything in my Purr*Packs box I was absolutely exhausted...and the empty Purr*Packs box was the purr-fect place to take a little catnap! 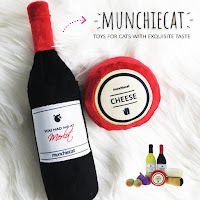 If you're thinking about treating your kitty to a subscription box, I could not recommend Purr*Packs any higher...4 paws WAY up from Mudpie. Subscriptions start at $24.99 per month for the Teaser Pack. For $29.99 per month you can get the Fun & Love Pack (which is what I received) and the Multi-Pack Mega-Pack is $39.99. With the latter two boxes you can customize your subscription with color and flavor preferences. 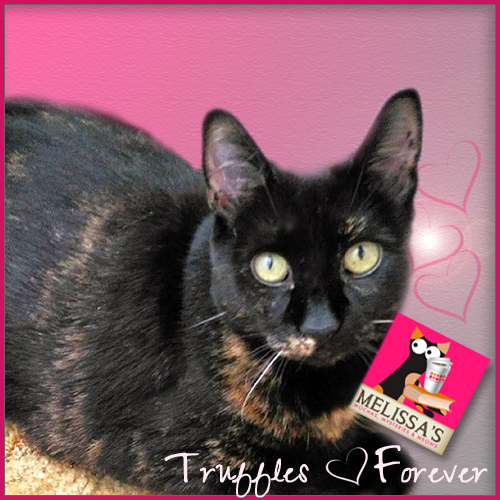 Purr*Packs also donates at least 10% of all retail subscription profits to local and national rescue and/or adoption programs. 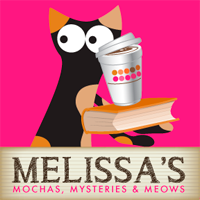 Purr*Packs is currently giving away FIVE September boxes...enter here!!! 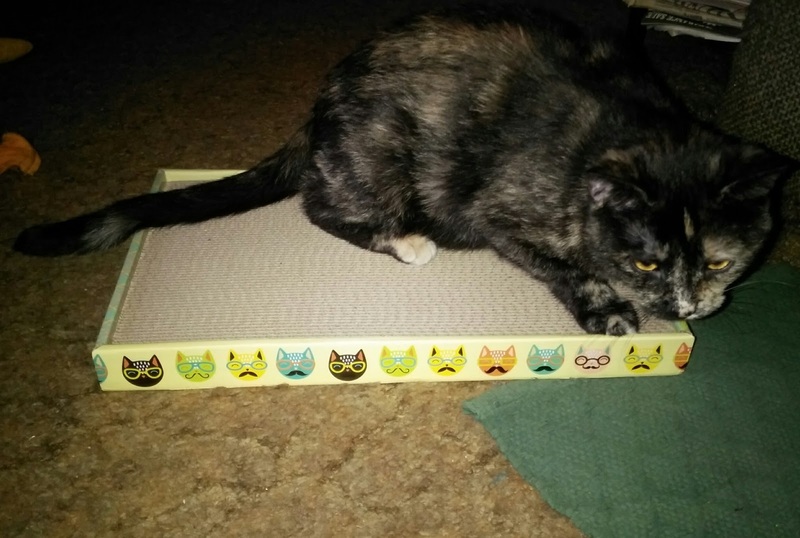 Connect with Purr*Packs on Facebook, Twitter and Instagram. Disclosure: We were sent a Purr*Pack box in exchange for our fair and honest review. Receiving free product did not influence our opinion about it; all opinions expressed on this site are our own. What a great box of treasures. Aww, you look so happy with all of your gifts! Wow! 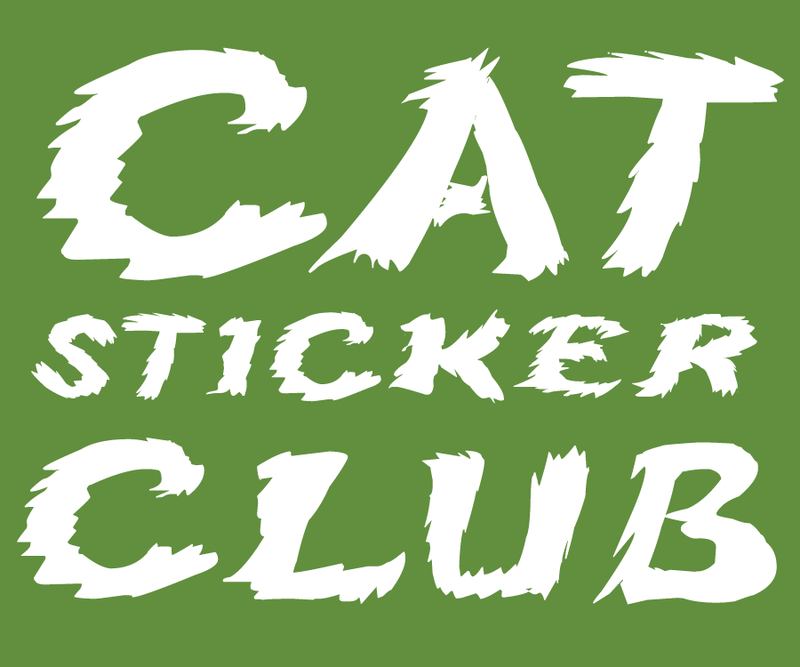 That PurrPack has a lot of cool stuff in it. 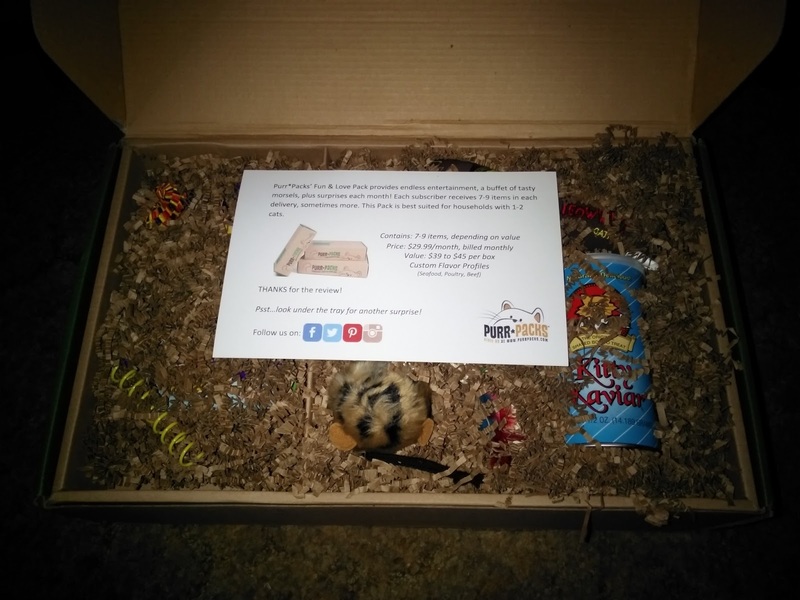 Glad you liked your goodies, Mudpie! that looks like a good one! There are so many on the market now that I can barely keep up with them, nor could I afford all of them! Love that this one included Yeowww! 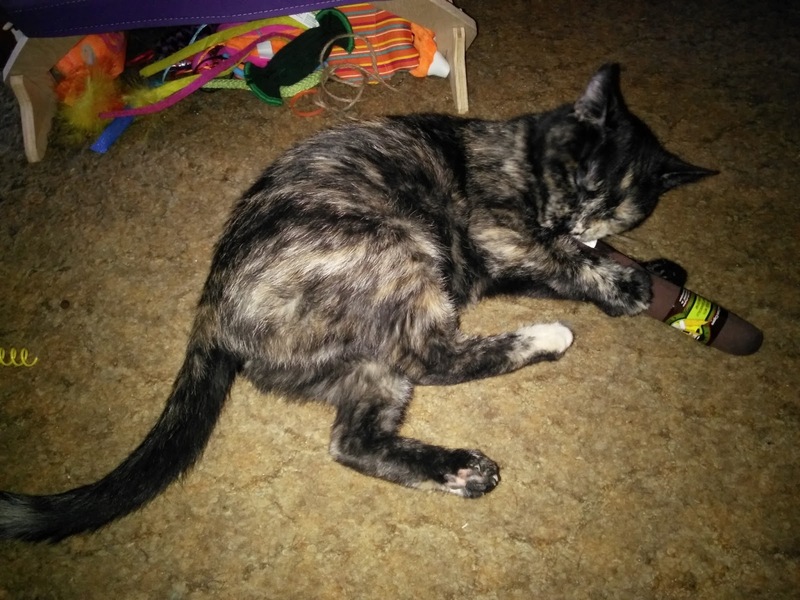 That scratcher is cute :) You do look like you are smoking the cigar- good pose. 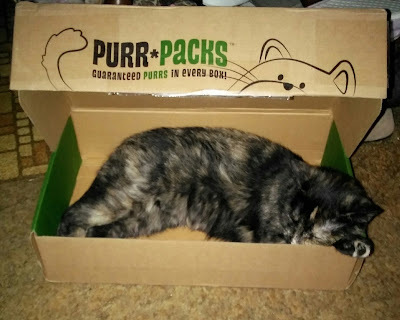 WE LOVED our PurrPacks! Great review Mudpie! 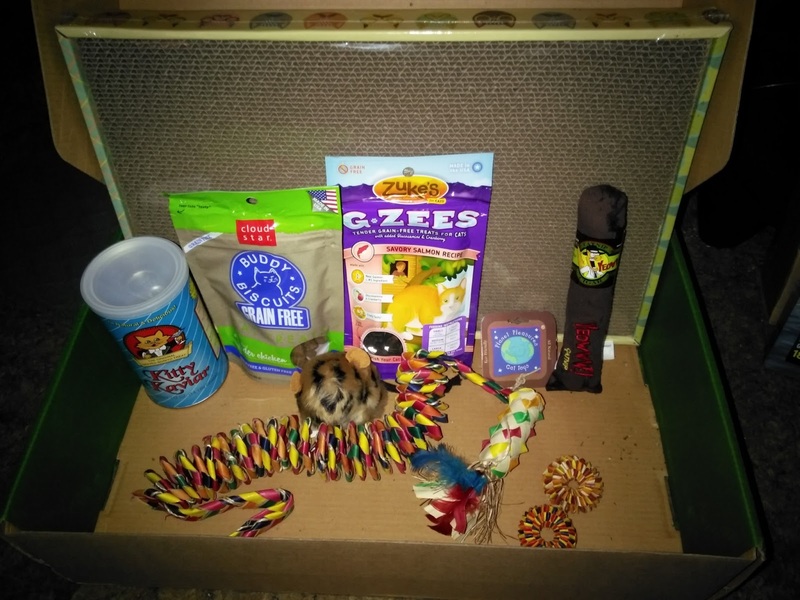 That is great, a box AND goodies in the box! Mudpie, you’re a great salescat! I want one! Those little round things look super fun. Sigh! TW wishes these box subscriptions ween’t so expensive. This one looks great but, alas, I prolly wouldn’t play with or eat anything in it. BTW, I ignored the Chewy box. 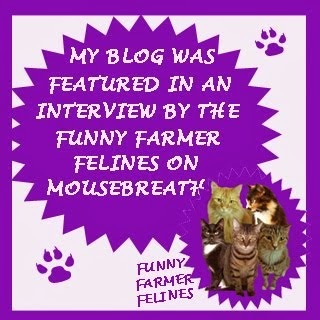 Mes so furry happy! 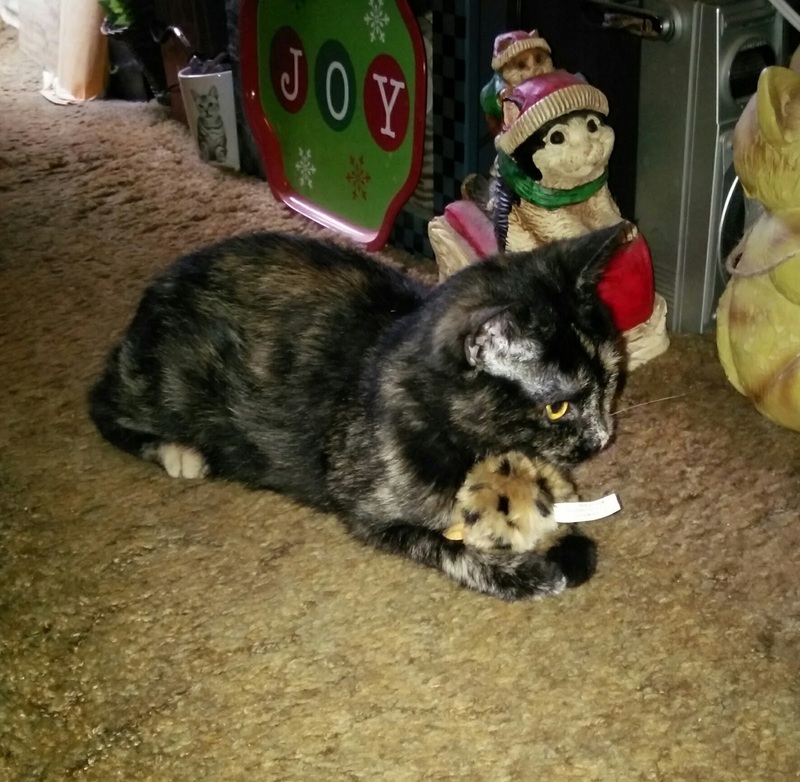 Watching yous enjoy those toys (Especially your new mousie) brings tears to this old girl's eyes! Sure wish wes lived 100 yards south (in the US) so wes could enter though. A catnip cigar!! I knew we were missing something around here! This from Chopin who thinks this is the best thing since sliced sardines! 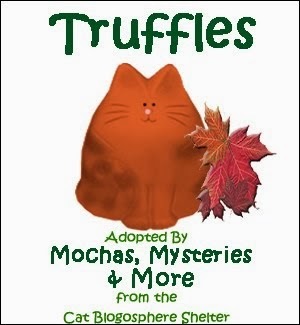 Mudpie, you didn't know you were being adopted by such a popular mommy, did you? Oh my stars! You got a BROWN MOUSIE!! 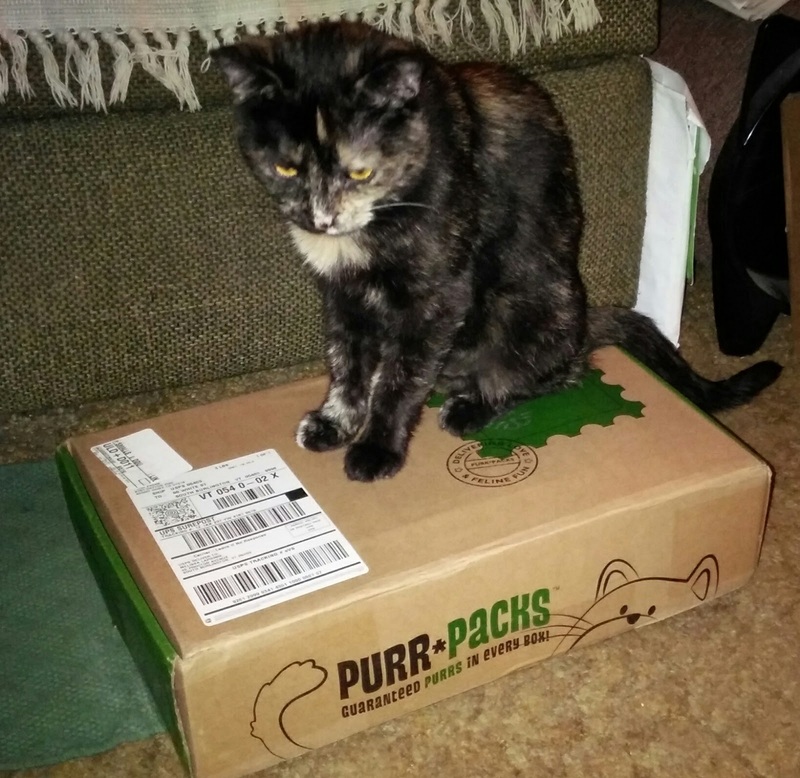 That purr pack looks fab!